CFP for a Special Issue of Contemporary Women’s Writing on Ruth Rendell/Barbara Vine. Edited by Ruth Heholt, Fiona Peters and Gina Wisker. Ruth Rendell, who has recently died, was one of the most prolific and important female authors of the C20th/21st centuries, achieving many literary awards and honours, plus a Labour peerage. 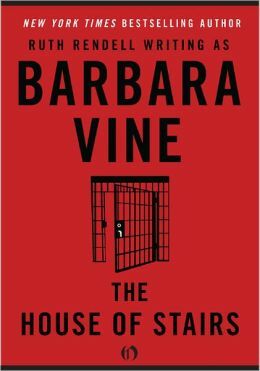 Her literary output, both as Ruth Rendell and Barbara Vine, transcended generic boundaries and conventional assumptions about character, the police procedural novel, class and gender, amongst many of her other concerns. This special edition aims to mark Rendell’s death with a selection of essays which celebrate her achievements and unique talent – as a writer who never shied away from complex or difficult issues, but who instead shifted the entire focus of the crime fiction genre into a complex study of human beings and their interaction with social and psychological forces. We invite proposals for articles on any aspect of Ruth Rendell/Barbara Vine’s work. CWW seeks to publish essays that reach beyond a reading of a single text in order to challenge existing thinking or extend debates about an author, genre, topic, or theoretical perspective and relate literary analysis to wider cultural and intellectual contexts. Gender, Class, Age, Family, Marriage, Violence, Death, Authority, The Police, Detection, The Psychological, Race, Homosexuality, Obsession, Poverty, Deviance, The Domestic, The City, The Suburbs. The deadline for abstracts is 1st September and completed essays of 8000 words will be due on 1st Feb 2016. All essays are subject to peer review and as such publication is not guaranteed. Please send 300 word abstracts and a short bio to: ruth.heholt@falmouth.ac.uk, f.peters@bathspa.ac.uk and g.wisker@brighton.ac.uk by 1st September 2015.